It seemed like in a matter of a blink your child is now a new driver. You’ve been preparing for this big milestone in your child’s life. Still, it seemed to have come too fast. You’re excited for your child, but you’re also worried. Teen drivers get in more accidents than any other group. You want your son or daughter to be safe. How do you teach them to be good, safe drivers? The most effective answer is practice. The more on-the-road driving experience your student has, the quicker they will learn and the more confidence they will build. Every state requires driver’s education students to attend a certified driving school that incorporates mandatory classroom and on-the-road driving hours. In addition, most states require students to have a certain number of driving hours at home, outside of the driving school. This is where you, as the parent come in. Teen drivers are inexperienced and often lack driving confidence. Be patient when riding with your son or daughter and continually encourage them. In many instances, the learning doesn’t begin and end in the car. Talk to your child before the practice drive and afterwards. Try to limit the amount of talking during the actual driving. Map out a route and show the route to your child. When mapping out routes, keep in mind your child’s driving experience. Avoid busy, major streets. Instead, stay on quiet, less congested side streets. Just as having a delegated route, pick a couple, specific road skills to focus on during each practice drive. Tell your driver to leave their cell phone at home. Make sure the student has properly adjusted both side mirrors and the rearview mirror. Having a route will give both you and your new driver peace of mind. It will eliminate you having to come up with a route on the fly, which can involve the sudden “turn here” commands. Instead, you can try “commentary driving” technique where your student calls out things as they see them. This technique enhances the new driver’s peripheral vision and can give you some peace of mind knowing that your son or daughter is alert and aware. Remind yourself to be patient and calm. Avoid raising your voice, scolding or talking down to your student while on the road. Start the driving sessions short, gradually increasing their lengths as your driver gets more comfortable and confident. The first few driving sessions should be between 15 and 20 minutes. Teen drivers are nervous and can get distracted easily. Avoid excessive talking to your student while he or she is driving. You want them to focus on the road, not on your conversation. Stick to the route and be sure to give your son or daughter advance warning on where to turn. Sudden shouts of “turn here!” will only add to your child’s stress and lack of confidence. Gently point out the mistakes your child made and explain why it was wrong. Discussing the mistakes during the drive is more effective than waiting until you get home to share it. When going over these mistakes, have your child pull the car over. You don’t want to be talking while your child is trying to drive. Be the eyes for your teen driver. Teens have not yet learned to scan ahead nor look around at what is happening around the vehicle. They can’t anticipate or see potential hazards. They are often only focused on what is right in front of them. Refrain from pushing your own instruction and suggestions if it doesn’t match what your teen driver has been taught in driver’s ed. Doing this will confuse your student. Review the session with your child, highlighting what they did well and repeating the errors that happened. Ask your son or daughter to provide their own feedback and assessment on their driving. Also, ask your child what he or she learned. Lead by example. As your teen is now a driver, he or she will be ever more observant of your driving habits. 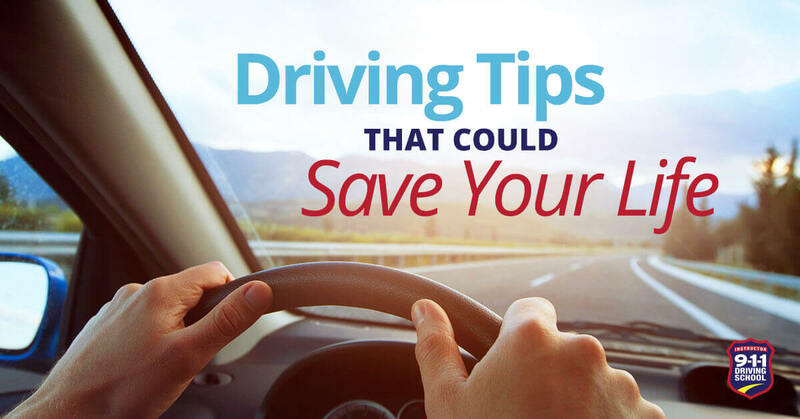 Knowing that your driving skills are under scrutiny, make the added effort to drive like a model driver. You want your child to pick up correct, safe, good driving habits, not bad, risky ones. As a parent to a new driver, you have a great responsibility and privilege to teach them good driving habits. If there is a soon-to-be driver in your home, trust their driver’s education to 911 Driving School. Contact us today for more information about our classes and locations.